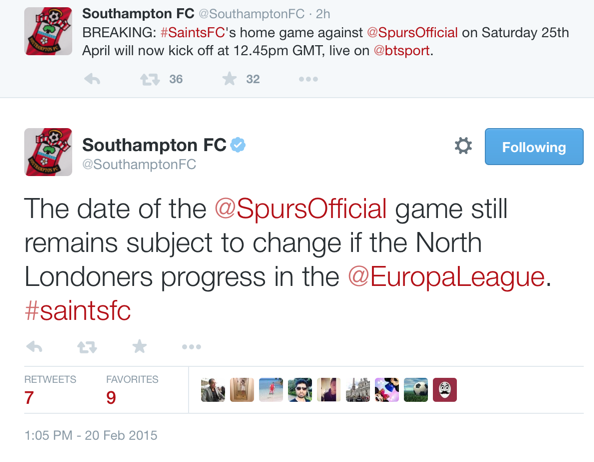 Southampton vs Tottenham at St. Mary's Stadium on Saturday the 25th of April 2015 will now kick-off at 12:45. This is to allow for television coverage on BT Sport 1. However, in the event that Tottenham qualify for the quarter-final stage of the Europa League, this game will be moved once again. In the event of any further changes, we will detail them here.